If you ever need the counsel of an experienced DUI defense attorney in Farmington, contact us today and schedule your initial case evaluation. Driving a few miles drunk may feel good now but wait until it interferes with your personal and professional life. A conviction of DUI in Utah can have severe consequences. It can make you lose your security clearance for a Utah military bases, your ability to rent a vehicle, and custody rights. It’s very devastating when you lose your job, family, and everything else in between because you didn’t contact a DUI defense attorney in Farmington. You can have your charges either dismissed or significantly reduced when you hire experienced legal representation. Whatever your situation is, you must plead not guilty and have an attorney protecting your legal rights. If you are a business person who needs to travel out of the country frequently, a DUI conviction will definitely affect your passport. Remember you can’t renew your passport without a driver’s license. Driver’s license suspension is very common in DUI cases. A DUI in your records is not exactly the kind of thing you want when traveling overseas, especially with so many checkpoints and computerized records available these days. One of the leading employers in Utah is actually a military base with almost 24,000 workers including contractors, soldiers, reservists, and civil servants. Some people have security clearance to get into these bases, particularly those working on aircraft. These people may be afraid a DUI will cause them to lose their security clearance. Air force bases have training, counseling, and rehab programs for individuals struggling with drug or alcohol abuse. However, your security clearance can still be affected and cause you problems at work. After being waiting so long for that dream getaway, it’s very disappointing to find out you are not able to rent a car. All you have left is a beaten up car that may not make it to the next block. Certainly not a good vacation to enjoy with loved ones. Vehicle rental agencies like to check driving records to make sure you are a safe driver. They will look back up to 4 years so if the DUI happened recently you will lose your chance of driving new wheels. A DUI can go as far as messing up your custody arrangements if your ex finds out about it. Her attorney can argue that awarding you the custody is not in the children’s best interests. A parent with DUI records can’t be trusted with a child until he or she demonstrates a trustworthy behavior. If you ever need the counsel of an experienced DUI defense attorney in Farmington, contact us today and schedule your initial case evaluation. We are fully equipped with everything you need to win your case. 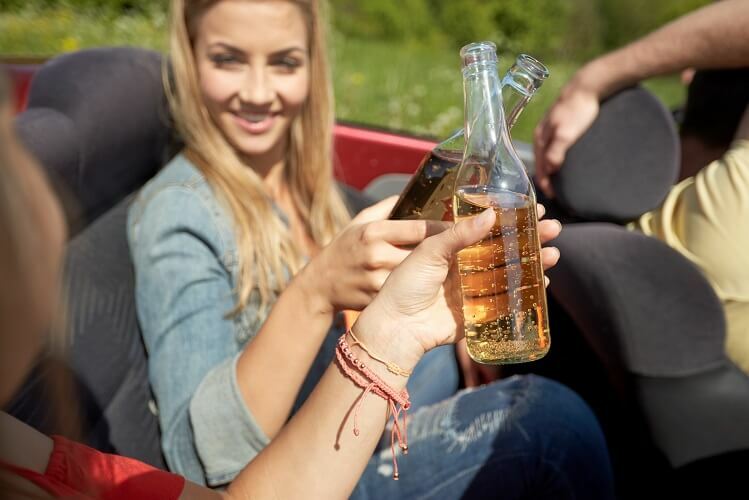 It’s never too late to claim your rights and avoid the secondary consequences of DUI. You may think there is nothing you can do to protect your future but that’s so far from the truth. That’s what our attorneys are here for.